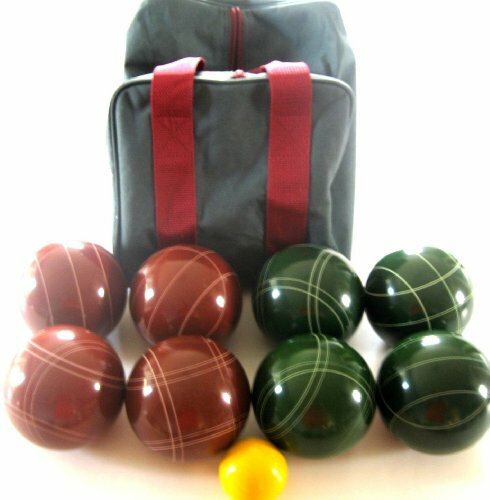 Premium Quality EPCO Tournament Set - 107mm Red and Green Bocce Balls with high quality nylon... by Epco at Scruffs Game. MPN: BBB107-EPRG. Hurry! Limited time offer. Offer valid only while supplies last. 8 dark red and dark green, 107mm Bocce Balls, manufactured of durable Partex composition resin material. They are solid, one piece construction.